Liquorice not only tastes delicious it has been used in many health remedies for thousands of years. The ancient Egyptians used it as a pharmaceutical, and huge supplies were found in King Tutankhamen’s tomb. Egyptian hieroglyphics record the use of liquorice as a popular beverage among the men of the time. Manuscripts from 360 A.D. talk of liquorice helping eye ailments, skin diseases, coughs, and loss of hair. Alexander the Great and Julius Caesar are on record as endorsing the benefits of eating liquorice. Today, liquorice can be found in many over the counter health remedies, cough mixtures, mouth ulcer treatments and topical antiviral creams are just a few. This is wonderful for me to know, because as a total Liquorice lover I enjoy it because it tastes delicious! Even better, there is plenty of delicious Liquorice variety at TAOS Gifts! Traditional Italian Liquorice in either bags of the fun Traditional Liquorice Laces or tasty Chunky Tortiglioni Twists. For instant refreshment Liquirizia Menozzi De Rosa have created the Pioneer Menthol Mint Sweets with a hard liquorice centre, they come supplied in a tin making them easy to store in your bag or car, for instant minty freshness whenever needed. If you like your liquorice and your mint extra strong you will love the Liquipin Mental Mint Extra, the stylish blue tin contains 40g of extra strong minty liquorice imps. De Rosa Traditional Italian Liquorice Imps are available in various flavours and each comes in their own stylish and brightly coloured storage tin. They are ideal gifts for Liquorice Lovers and perfect for keeping your favourite sweet treat fresh between nibbles! Creepy beasts, glowing ghouls, fun and games for a frightfully good Halloween! October is almost upon us, are your ready for the little Monsters, creepy critters, ghastly ghouls, wicked witches and fearsome beasties? Be Prepared with TAOS Halloween gifts, we have everything you need for a fearsome night with your little horrors. Freak up their hair with Colour FX Hairspray or ColourFX Hair gel, Zombify their faces with facepaints, then get ready to get the party started! Be safe and be seen when you are out on cold dark nights this winter with Glowstick Jewellery, make your own necklaces, earrings and bracelets with the connectors provided, they glow bright for hours, available in 4 bright colours, and various size packs the only limit is your imagination. Fill party bags or loot bags with creepy candy Halloween Rock Lollies, fruity flavours with scary Halloween designs, chocolate Pumpkins, bags full of delicious chocolate wrapped in foil with a pumpkin design, or the freaky chocolate eyeballs, made in the UK by Derwent Lynton, gruesome coloured horror eyes with freaky red veins all over them, little monsters love them, then add a collection of beastly goodies. 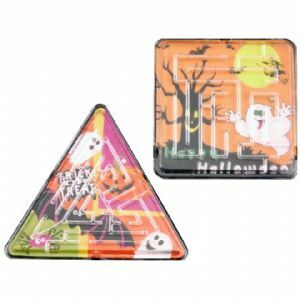 Plastic spooky Mazes are always popular, how steady is your hand? 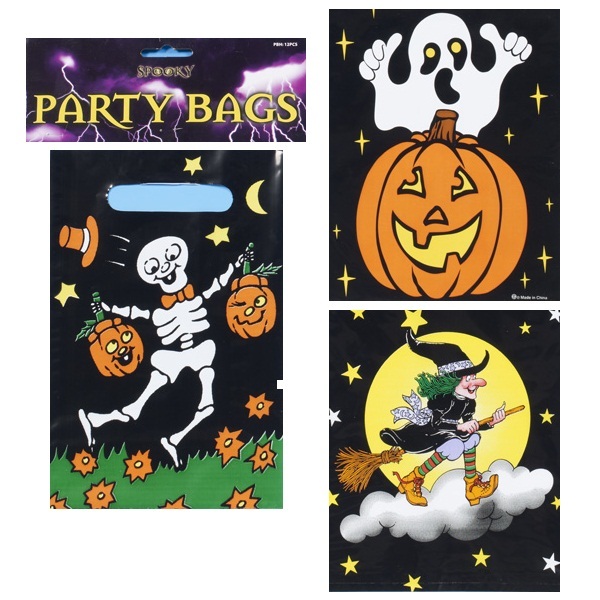 Perfect for lucky dips, pass the parcel, party bags and other party prizes, with a selection of shapes and spooky designs with creepy trees, bats, witches and ghostly beings, they are just one of our great selection of party goodies. Halloween Paddle Drums, in suitably creepy colours including black, green orange and purple, decorated with scary faces and haunting ghosts, are a great alternative to sweets for the little trick or treaters, and perfect party prizes for Halloween fun. The ultimate creep out! 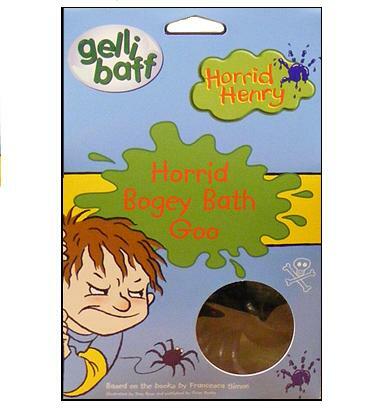 Horrify them with Horrid Henry Green Gelli Baff Jelly in Horrid Henry Bogey Green, fill the bath, a large cauldron or a paddling pool with the green slimy bug filled goo, carefully wrap up prizes and make them hunt around in slime for a trick, or a treat. Add more beasts to the mix with a selection of Extreme Stretchies, with a choice of Frogs, Snakes and Spiders, you can create a gruesome zombie slime lucky dip with prizes sure to make the scream! Monday Coffee Break, confectionery testing time, yummy! It’s hard work, but someone has to do it, today I am testing confectionery for TAOS Gifts. I have before me a line up of goodies on my desk, so which to choose first? So, visual appeal, yes, beautifully wrapped in gold foil with the shape of the chocolate teasing me through its wrapper. The chocolate melts in the mouth, but I was impatient and had to chew, and wow! The Liqueur melts dreamily into your mouth with the chocolate, followed by a whole cherry that was enveloped in this little piece of chocolate heaven! Going back to the sweet line up on my desk, I pick up a Peachy marzipan fruit shape. It looks just like a mini peach, and tastes fabulously fruity! Not only do they taste as good as they look, I think they’d be brilliant for decorating home-made cakes as well as serving on a dish at parties or using as party bag fillers or wedding favours. I think I’ll hide these from my children. “Mmm, not sure what they are, but they’re quite nice, they taste like Jaffa cakes” my Teenage Daughter says as she munches her way through an orange chocolate stick. TAOS gifts have plenty of fun novelty sweets for the children so you can enjoy the more luxury products in peace, mine love the Character Candy novelties. It’s getting tough to choose from my pile of goodies now, so lucky dip time…. Liquorice has always been a favourite of mine, especially the really hard liquorice, I’ve got two big chunks here, one hard and one soft. I close my eyes and pick another delicious sample from the collection, and bite into an instant kick of ginger, wonderful! To my delight the next few sticks are the same, dark delicious chocolate with the unmistakable tang of fresh ginger. My work here is done, I now have just two delicious chunks of chocolate before me, nice and nutty, just the way I like it. Bitter dark chocolate with a distinct nutty flavour as soon as you pop one in your mouth, a mouth-watering crunch as you bite into the rich, crunchy Walnut centre.